We wanted to go for hotpot but it was full! 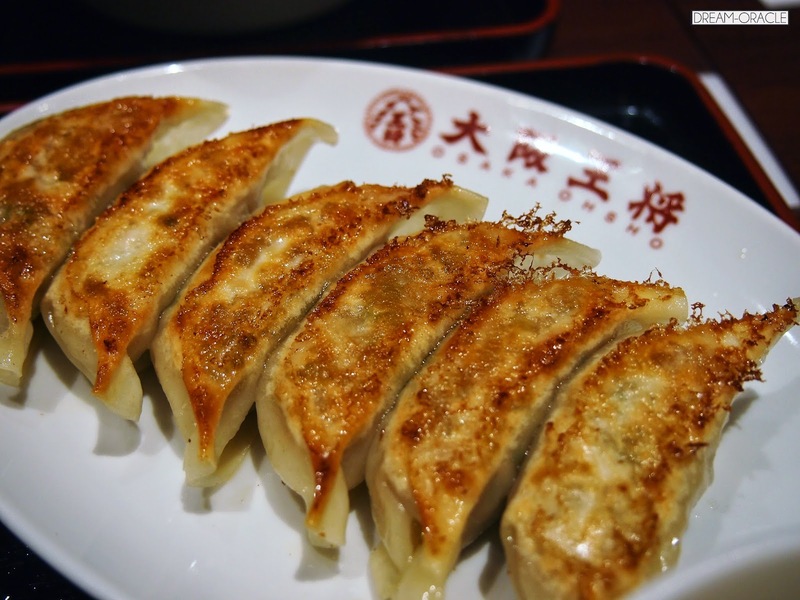 So we decided to try this gyoza place, because come on, it's gyozas! Everyone loves gyozas! 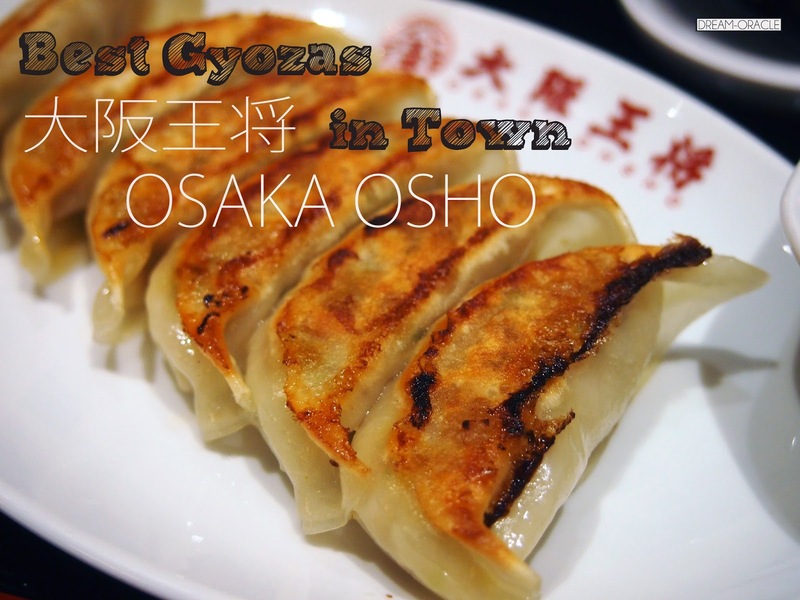 At Osaka Osho, they serve up ala carte gyozas at 6 per plate ($3.90) or 12 per plate ($7.80). They also have a more affordable meal set that comes with a main, a soup, and gyozas. Yum. They are famous for their Tenshin Han, which is fluffy egg enveloping Japanese rice then doused in this slightly sweet gravy. 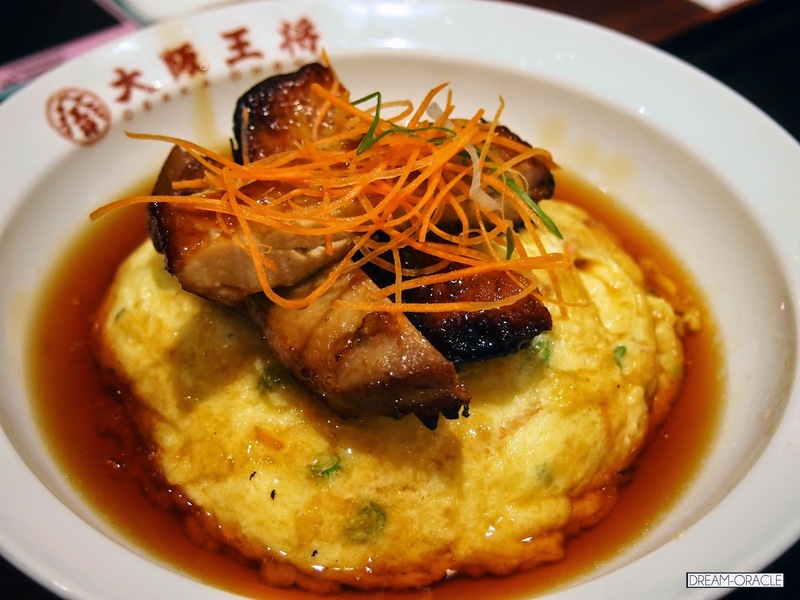 Think omu-rice with gravy, or better yet, our local zichar mui fan! 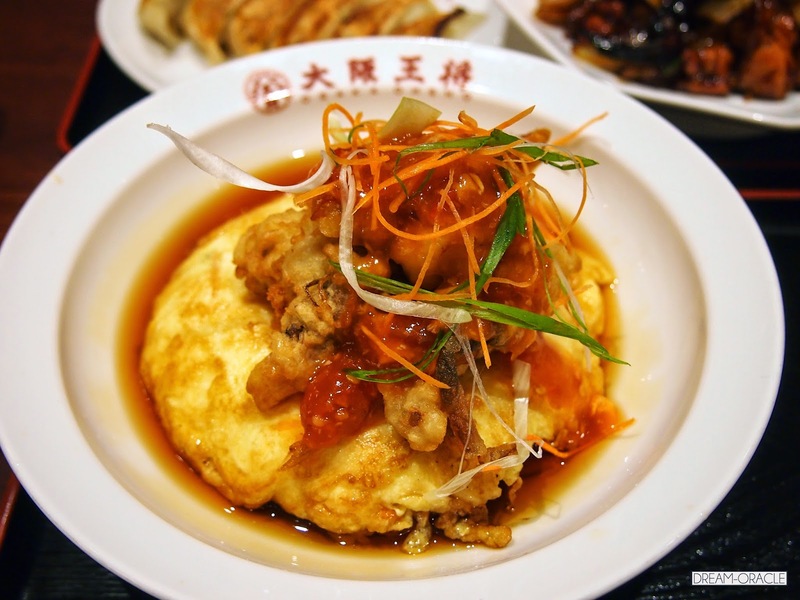 The difference for this is that it comes with a topping of softshell crab. I thought it tasted alright, the gravy for the softshell crab was sweet, which wasn't really to my liking. However, the egg was really fluffy and the rice was good too. Even though it's just plain Japanese rice, I like that the rice was well-cooked and it goes really well with the egg and rice gravy. The downside is that you can get sick of it pretty quickly because the the gravy is rather heavy. My dining partner couldn't finish her set as well, partly because the portions are also rather big. But really, I think they got to rethink their gravy because it can really get quite overwhelming. 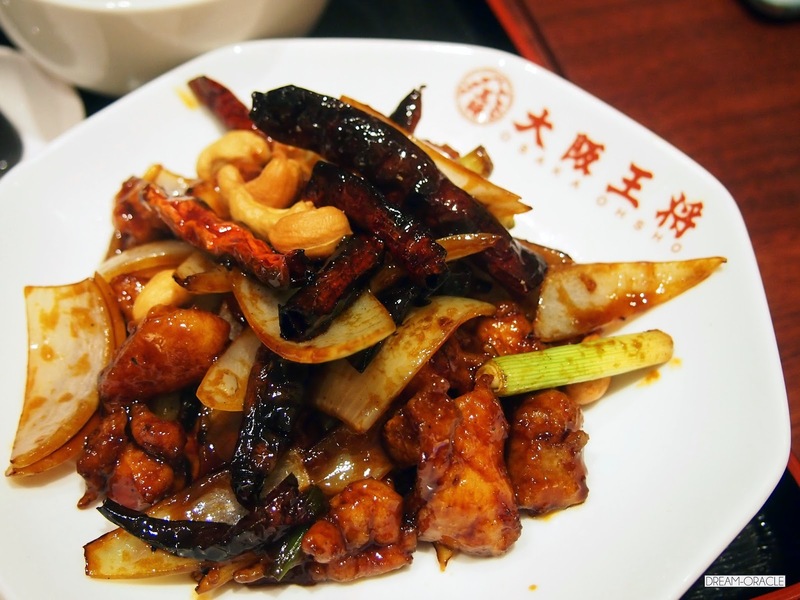 This is the Gong Bao Chicken Set ($15.90). This is so far the most pleasant non-gyoza dish I've tried. The meat is stir-fried to perfection, equal parts appetizingly sour and salty. Not so much spicy, but delightfully yummy. Finally their signature item, gyozas! Golden brown and pan-friend to perfection, every single piece is handmade and generously filled with cabbage, ginger, garlic and pork. I drizzled ample amount of chilli oil over them, then dipped in their soy sauce. Now, if they were to improve this, they need to figure out a way to have that squirt of juiciness when you first bite into a gyoza. That would be the ultimate perfection. I would return, not for the set meals, but definitely for the gyozas. Too awesome to be missed, definitely one of the best I've tried in Singapore.